Mediterranean yacht charters on super yacht Sea Dreams. SeaDreams Mega Yacht. Super yacht Sea Dreams available for charter in the Mediterranean. 1. 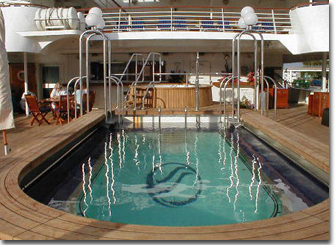 What is SeaDream Yacht Club ? SeaDream Yacht Club is the innovative new yachting venture by Norwegian entrepreneur Atle Brynestad who founded the highly acclaimed Seabourn Cruise Line and Larry Pimentel, who was President of Seabourn under Brynestad and later President and CEO of the merged companies Cunard-Seabourn. 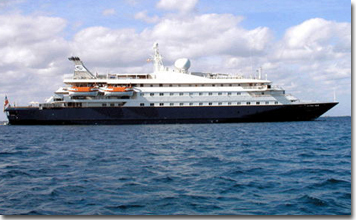 Pimentel is Chairman and Chief Executive Officer of SeaDream Yacht Club and a co-owner. Brynestad and Pimentel have brought into SeaDream a small group of colleagues with vast industry experience. The company now operates the two ultra-luxury mega yachts, SeaDream I and SeaDream II. They were originally introduced as the Sea Goddess twins and were the prototypes of the luxury, intimate yachting experience. 2. Why is SeaDream called a Yacht Club? Yachting features an open and unstructured ambience and provides guests the ability to fulfill their own dreams at their own pace. No clocks, no crowds, no lines, no stress, no business deadlines. The key word for the mega yacht SeaDream yachting experience is "unstructured." It's all about personal choice. Think of it as a free-form holiday. Mega charter yacht SeaDream is a yacht company, not a cruise line. 3. What are some of the highlights of the SeaDream yachting experience? Flexible Schedules and Travel Itineraries - Although the SeaDream yachts depart their first port and arrive at their last port as scheduled, arrivals and departures at intermediate ports are not necessarily cast in stone. Captains have the authority to adjust the travel itinerary for local opportunities such as making an unscheduled call at a small port to visit a local fish market or to remain longer in a secluded bay so guests can enjoy a few more hours of water sports. Overnighting in Key Ports - Cruise ships usually arrive at ports of call in the early morning and depart in the evening the same day. 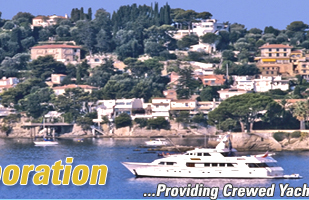 You private Charter yacht SeaDream overnights at such ports as Monte Carlo and St. Tropez in the Mediterranean because the action in those ports dont get started until late in the evening. Raiding the Pantry - SeaDream guests dine in an indoor Dining Salon, in an outdoor Topside Restaurant or from Room Service. They can also raid the pantry 24-hours a day for cookies and milk or make themselves their own customized sandwich---just as they can at home. Officers and Staff Lead Guests on personal off-ship Experiences - Officers and staff frequently lead guests to favorite sites since they know these sailing regions intimately. No Tux for Guys, No Gala Gowns for Gals - the SeaDream yachting experience is a casual affair. There is no formal dress code. 4. 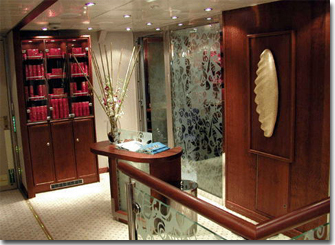 What Kind of Guest Accommodations are found on SeaDream Yachts? 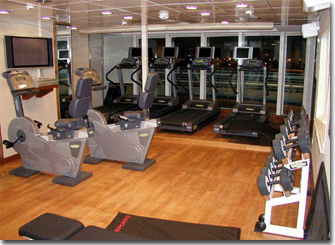 SeaDream I and SeaDream II are large yachts with only 55 guest accommodations. 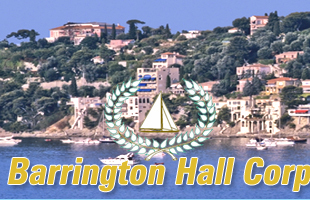 Fifty-four of these are Yacht Club Staterooms of 195 square feet. Sixteen of these are convertible to Commodore Club Staterooms of 390 square feet. There is also an Owner's Suite of 450 square feet. Therefore, the yachts will accommodate from 47 to 55 couples based on how the staterooms are configured. 5. What services and amenities will be found aboard these yachts? 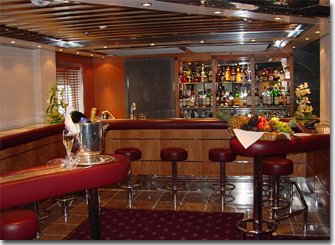 Each stateroom has a complimentary bar, stocked with the traveler's preferences. There are multiple jet massage showers, lighted, magnifying mirrors, an Entertainment Center with a flat screen TV, CD and DVD systems with an extensive collection of movies. All accommodations are Internet-ready. As to outdoor amenities, there are private alcoves for sunning on double Balinese sun beds, a private massage tent on deck, a large screen golf simulator featuring 52 signature courses from around the world, movies under the stars, captain's chairs with mounted binoculars, a water sports Marina at the stern where guests can enjoy kayaking, water skiing, tubing, boarding wave running, snorkeling and sunfish sailing. Tai Chi, yoga and aerobics are also included. Among indoor amenities are: an Asian-style spa with a Thalasso therapy tub into which warm sea water is pumped, a health club with elliptical treadmills mounted with flat screen TVs, free weights and recumbent bikes. A personal trainer is available. There is also a Main Lounge and bar with a 61-inch, flat screen viewer, piano bar and casino and a library with books, CDs, DVDs and computers connected to the internet. 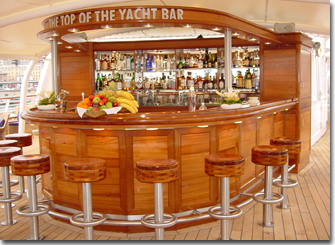 There is also a complimentary open bar policy throughout each yacht. While we hesitate to use that overworked and undervalued phrase "gourmet dining," we can with assurance declare that the open seating dining aboard our yachts is both elegant and casual and has been highly rated in authoritative guides and other publications. There is a main Dining Salon, Outdoor Cafe, the Club Salon, Casino, Main Salon Bar, Satellite Bar, also a swimming pool, beauty salon and boutique. Service is of the highest order with approximately one staff member for each guest. Tipping is not necessary. 6. How about Some Vital Statistics? SeaDream II was redesigned and refitted January 2002. Country of Registry is the Bahamas. Gross Tonnage of the yachts is 4260. Length is 344 feet. Beam is 47 feet. Speed is 17 knots. Guest capacity is 110. Officers, staff and crew numbers 89. Officers are Scandinavian. Staff and crew are international. Both yachts are stabilized and fully air conditioned with individual stateroom thermostats, and comply with SOLAS 2005 First Safety Standards. 7. Where do these yachts presently sail? SeaDream I and SeaDream II sail to small, seldom-visited ports along the Mediterranean coast and to little known Caribbean islands, but our captains have the option of taking guests to alternate ports-of-call for a beach barbecue, a unique shoreside experience or to another island to pick up some local seafood. 8. What kinds of guests do these yachts attract? Guests aboard our yachts are affluent and discerning individuals who love to travel and who have highly personal and casual lifestyles. 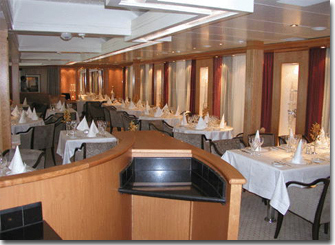 The unstructured nature of life aboard SeaDream I and SeaDream II has strong appeal for them. The yachts are also ideal for small business meetings and business travel incentives, corporate incentrive groups and are available for full charter. 9. What is the smoking policy on SeaDream? SeaDream permits smoking on the outside decks 3, 4 and 6. Smoking is not allowed in the staterooms or in any enclosed public rooms on SeaDream I or II.